We're plugging away with our painting - My husband hasn't moved forward at all with the ceiling due to his dad in the hospital. He promises me, it will get done. We are hopping Pop is out of the hospital sometime today or tomorrow. Although, tomorrow we were hoping to go to the Shasta County Inter-mountain Fair. Saturday is "Kids Day" and while I love children, I would rather go on Friday. 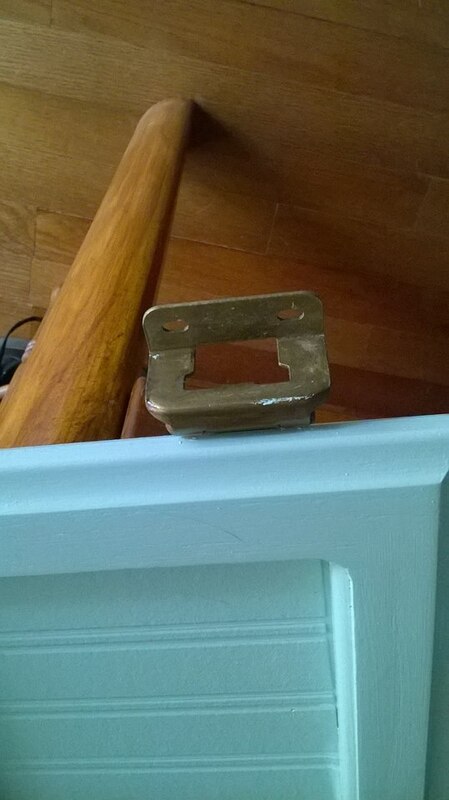 While removing the kitchen cabinet doors to paint, one of the hinges broke. GREAT! Last night I went to Home Dept and they had no hinges that even remotely looked like it would fit. 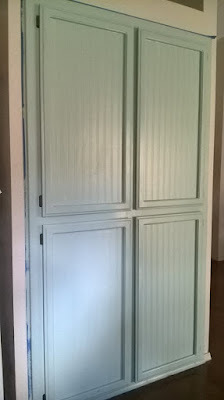 I'd have to replace all the hinges and that amounts to quite a bit of green that I would rather put into something else. When you pay cash and are trying to "embrace frugality" you have to make do or move your decorating priorities around. Some people detest having to do this - Me? I excel and do my best when I have to find other ways. 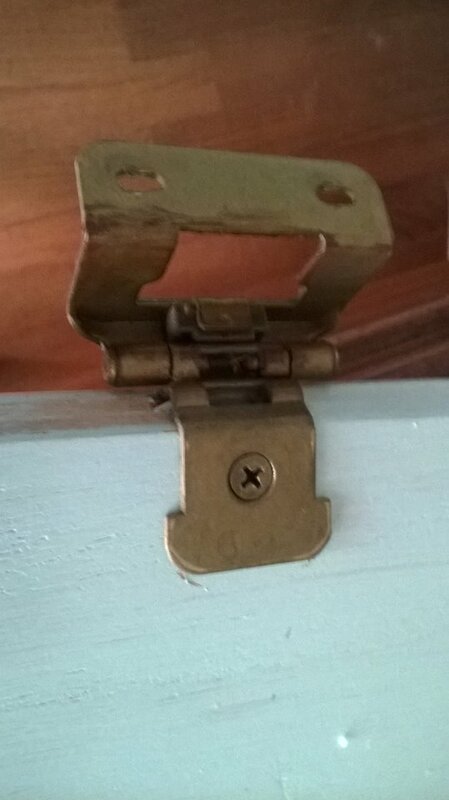 I decided that I would use a hinge, from our master bathroom cabinet. Same hinge and since I haven't worked my way toward that area yet. I'll use a "make-due" hinge in the bathroom, one closest to the wall - no one sees, except for the cat and a few spiders.